Okay – so this is just not another vampire book…I promise. 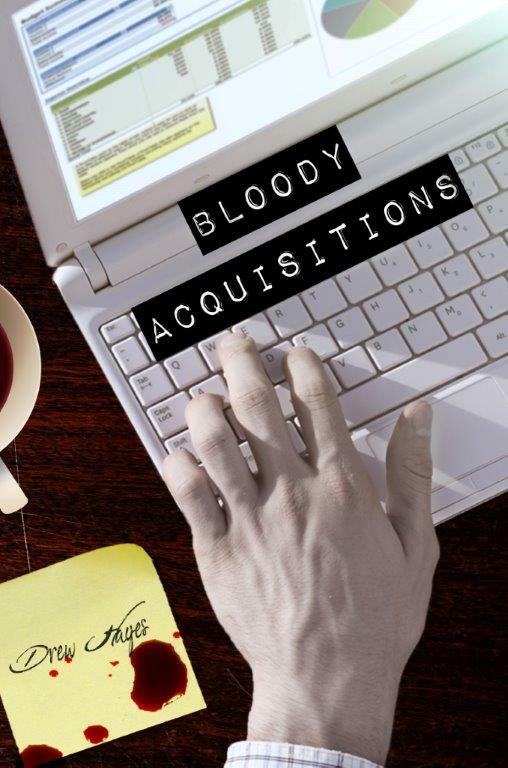 This is the latest in the Fred the Vampire Accountant series: Bloody Acquisitions. Haven’t read the others? That’s okay. Drew Hayes won’t hold it against you – well, I can’t speak for him – but I can speak for myself, and trust me, you want to read these novels. What is happening in this one? With a thriving parahuman accounting practice, a steady relationship, and a circle of trusted friends, Fred’s undead life has become more enjoyable than his normal one ever was. Unfortunately, it also seems that he’s no longer the only vampire to appreciate the up-and-coming city of Winslow, Colorado. A new clan of vampires is moving in, and they aren’t well known for tolerating outsiders in their territory. Now, Fred must cope with the growing presence—and threat—of other vampires even as he struggles to keep up with his business’s demands and make time for his friends. Between hidden parahuman towns, crazed vampire hunters, quarreling mages, and the world’s least subtle spy, it will take all of Fred’s wiles just to keep his head above water. And as the new clan sinks their fangs deeper and deeper into his city, the undead accountant is faced with a choice between two equally unappealing options: flee his home, or stand against an entire clan of fellow vampires. Why should you read this book? Because its author is bloody talented [yeah I said it]. He is also a fellow Texan – so you know I have to spread the love. Drew Hayes is an aspiring author from Texas who has written several books and found the gumption to publish a few (so far). He graduated from Texas Tech with a B.A. in English, because evidently he’s not familiar with what the term “employable” means. Drew has been called one of the most profound, prolific, and talented authors of his generation, but a table full of drunks will say almost anything when offered a round of free shots. Drew feels kind of like a D-bag writing about himself in the third person like this. He does appreciate that you’re still reading, though. Drew would like to sit down and have a beer with you. Or a cocktail. He’s not here to judge your preferences. Drew is terrible at being serious, and has no real idea what a snippet biography is meant to convey anyway. Drew thinks you are awesome just the way you are. That part, he meant. Drew is off to go high-five random people, because who doesn’t love a good high-five? No one, that’s who. Check out his website for some more humorous reads or follow on twitter. Cover Reveal for Without Benefits by Nicole Tone!